Yes, I am a Member of the Most Active Web Forum in my Country, Nairaland.com. I've had some history with them and with even the Founder of the great website whom I have had opportunity to speak with over a long time back. I didn't know the meaning of the word BLOG, BLOGGING, or BLOGGER back then, that's by the way. Some days back I needed to Embed a Video in the Forum for everyone to see but found no Option to do that in their Post Editor, being familiar with BBCodes, I applied what I knew and it worked. So I decided to Share with us How To Get the URL of Videos and Embed the YouTube videos in any SMF Forums or Other CMS/VBulletin websites that supports BBCodes, this should be useful for every member or Moderator of such Forum website, let's go. 1. Get the Link of the YouTube video you want to post in the Forum. You See the Video Link in Red inside right? The one painted in red is Unique & most important. 3. Apply the following BBCodes along with the video Link without any spaces. Now Post it along with any other thing, the Video will show directly and can be watched. 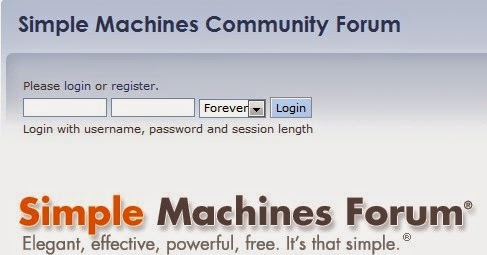 This is really a simple tutorial because it takes only a line of BBCode and Hyperlink, and save moderators the Stress of cross-checking the post or tweaking before everybody can watch the video directly inside the Forum, be it Simple Machine forums, (SMF) or any other CMS.